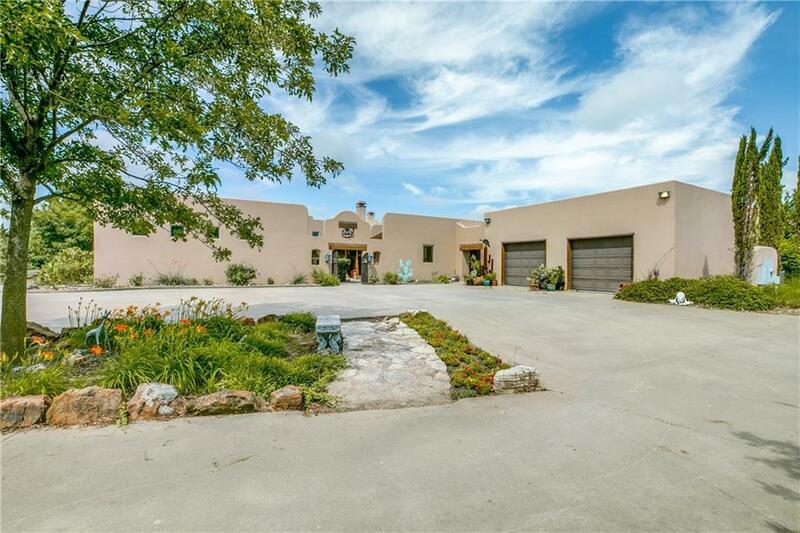 Beautiful Southwestern style home 3422 sf home & 1467 sf attached garage & bedroom total area with HVAC is 4889 sf. 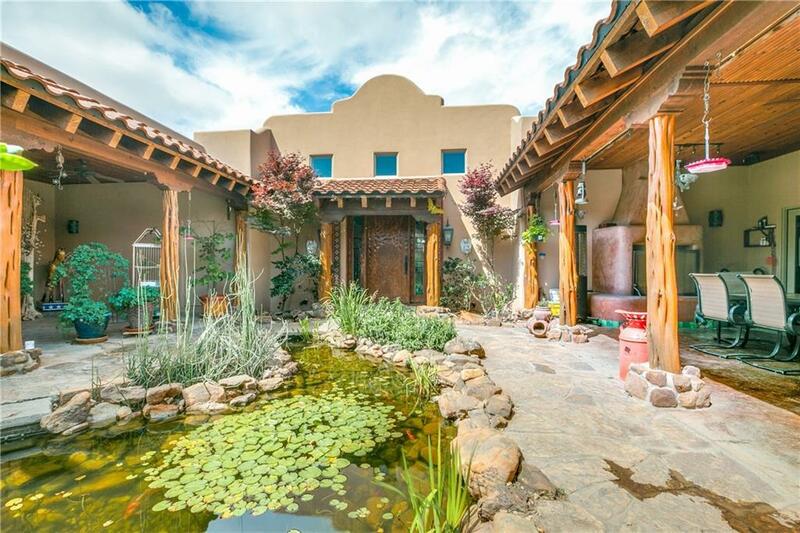 Large courtyard, koi pond over 4000 sf of Covered Porches and Verandas. A total of 8160 sf under roof. sound system, extensive landscaping w-irrigation. Ideal paradise to entertain. The great room opens to gourmet kitchen with Viking frig, Dacor gas top, pot fill, dual dishwashers, warming drawer & Miele steam oven. Great Room & Kitchen have tongue & groove oak timber ceiling. 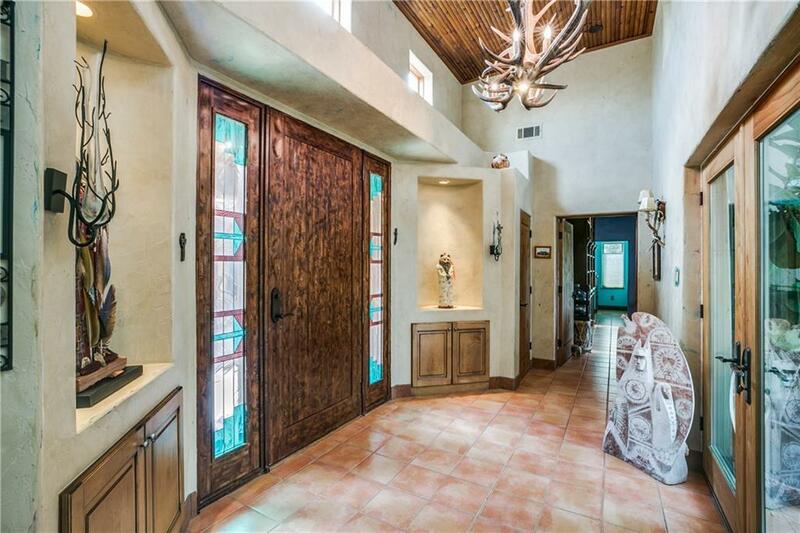 Master has gas fireplace & breathtaking views. 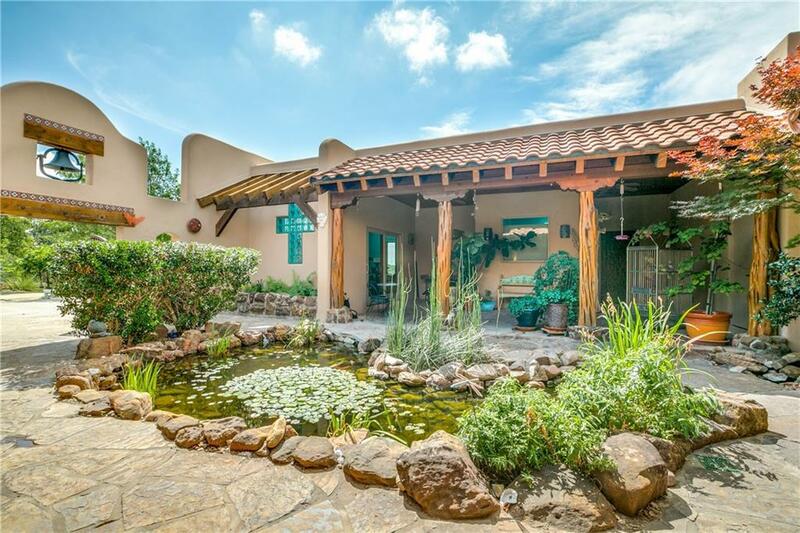 Beautiful pool & waterfall area, Best views of the country side in the area. 40 x 50- 5 stall horse barn with 40ft runs. Also has tack room, vet area and hay storage.